부여 가림성은 백제의 수도였던 웅진성과 사비성을 지키기 위하여 금강 하류 부근에 쌓은 석성(石城)이다. 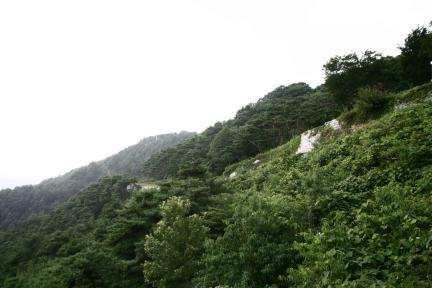 산 정상에서는 강경읍을 비롯한 금강 하류 일대가 한눈에 내려다 보이며, 백제 동성왕 23년(501)에 위사좌평 백가(苩加)가 쌓았다고 전한다. 『삼국사기』에 의하면, 성을 쌓은 백가는 동성왕이 자신을 이곳으로 보낸 것에 앙심을 품고 동성왕을 살해하고 난을 일으켰으나 무녕왕이 왕위에 올라 난을 평정하고 백가를 죽였다고 전한다. 높은 관리인 위사좌평으로 하여금 성을 지키도록 하였다는 사실은 이 성의 전략적 중요성을 말해주고 있다. 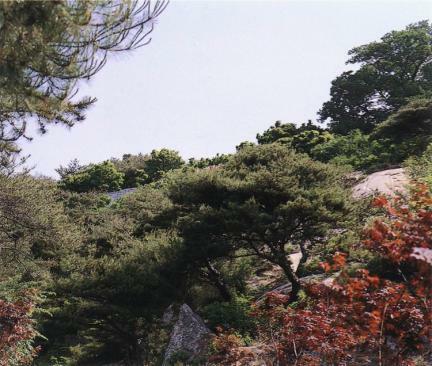 성의 형태는 산꼭대기를 빙둘러 쌓은 테뫼식으로, 돌과 흙을 함께 사용하여 성벽을 쌓았다. 성 안에는 남·서·북문터와 군창터, 우물터 3곳과 돌로 쌓았던 방어시설인 보루가 남아있다. 또한, 백제 부흥운동군의 거점지이기도 한 이곳에는 고려 전기의 장수 유금필이 이곳에 들러 빈민구제를 하였다고 하여 해마다 제사드리는 사당이 있다. 이 성은 백제 때 쌓은 성곽 가운데 연대를 확실히 알 수 있는 유일한 성이고, 옛 지명을 알 수 있는 유적으로 매우 중요하다. 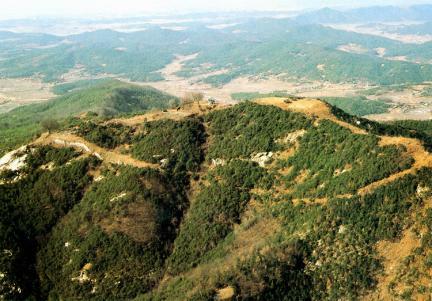 Garimseong Fortress in Buyeo is known to have been built to protect two successive capitals of Baekje (17 BCE – 660), Ungjinseong and Sabiseong. 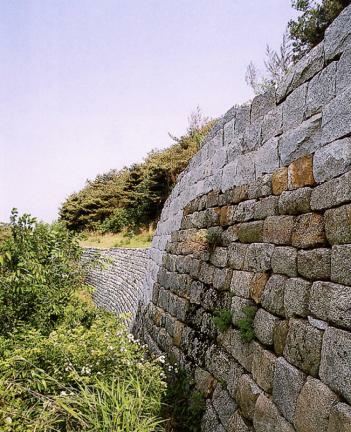 Located on a site overlooking the entire lower reaches of the Geumgang River, the fortress was completed in 501 under the supervision of a Baekje aristocrat named Baek Ga. 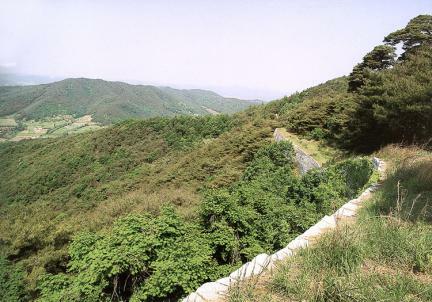 According to Samguk sagi (History of the Three Kingdoms), Baek Ga rebelled against King Dongseong (r. 479-501) of Baekje, and slew him. 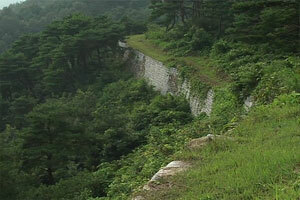 The rebellion was, however, promptly quelled by his successor King Munyeong (r. 501-523). 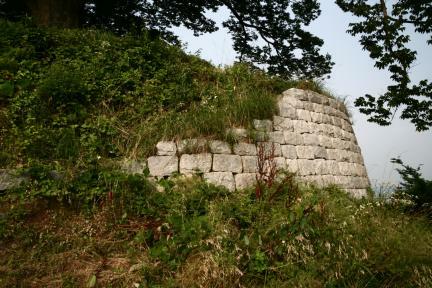 The fortress contains features of its three main gates along with three wells and other defensive facilities - although they are now nothing but ruins. 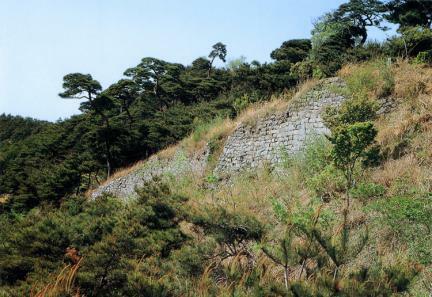 Its wall, built with stone and earth, was designed to enclose the entire summit. 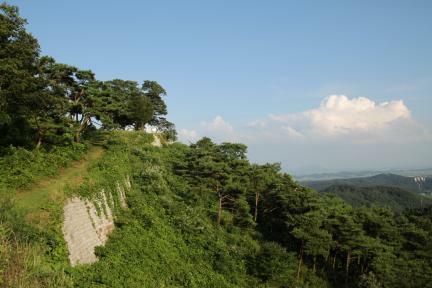 The fortress was also used as the last stronghold of Baekje resistance during the Baekje Restoration Movement (660-663), and contains a shrine built to honor Yu Geum-pil (?-941), a Goryeo general who helped the poor and needy of the area in times of turbulence. 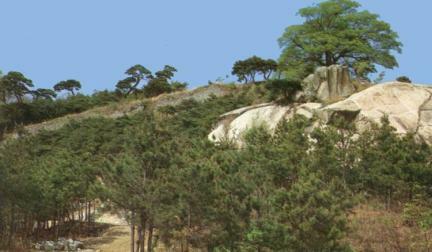 It is an important historical heritage in that its construction date is clearly known along with the old names of the towns scattered around the area.